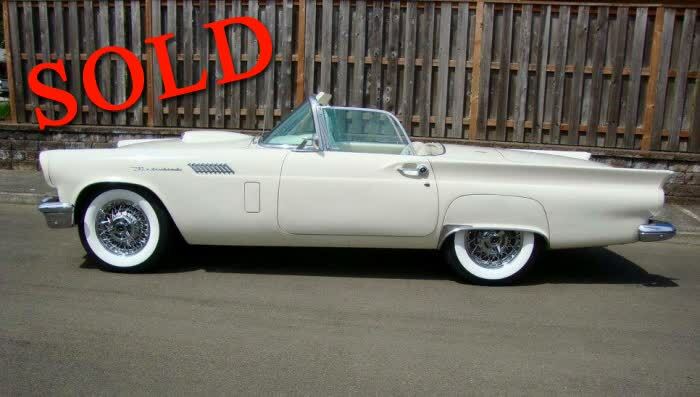 This 1957 Ford Thunderbird has been sold and has a new home in Phoenix, Arizona. This 1957 Thunderbird is a unique Triple White Color combination, first offered in 1957. 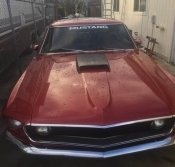 This car has less than 52K original miles. Factory power windows and seat. Tru-spoke wire wheels with Diamondback radials. (stock wheels and hub caps are available also). This car was ordered with removable hard top only. Original Town and Country radio has been professionally modified to be AM/FM. This car is always a head turner and is fun to drive.